Nice setting: a calm evening along the coast in French Guiana. Suddenly, there’s a huge clap and a rocket appears on the horizon. Awesome. – Perigee: 249.9 km. for a target of 249.7 km. – Apogee: 35,972 km. for a target of 35,958 km. – Inclination: 2.00 deg. for a target of 2.00 deg. During tonight’s launch, the Arabsat-5A satellite was deployed first during the flight sequence, being released from atop Ariane 5’s payload “stack” at 26 min. into the mission. Produced by Astrium and Thales Alenia Space on a turnkey contract for the Arabsat telecommunications operator, the satellite had a mass at liftoff of about 4,940 kg. Arabsat-5A carries 24 Ku-band transponders and 28 C-band transponders for telecommunications and TV broadcasting services over the Middle East and Africa. Astrium provided the Eurostar 3000 spacecraft platform and was responsible for satellite integration, while Thales Alenia Space supplied the payload. This mission marked another milestone in Arianespace’s 25-year relationship with the Saudi Arabia-based Arabsat telecommunications operator, which began with the launch of Arabsat 1A in 1985 on an Ariane 3 vehicle. A total of seven Arabsat satellites have been launched by Arianespace during the past 25 years. The COMS satellite passenger was separated from Ariane 5 at 32 min. into tonight’s flight, completing this second heavy-lift mission of 2010. The multi-purpose COMS spacecraft for South Korea’s KARI (Korea Aerospace Research Institute) is fitted with three payloads for meteorological observation, ocean surveillance and experimental broadband multimedia communications services. Liftoff mass of the COMS Astrium-built Eurostar 3000 platform was 2,460 kg., and its communications payload came from the Electronics and Telecommunications Research Institute (ETRI) in Korea. 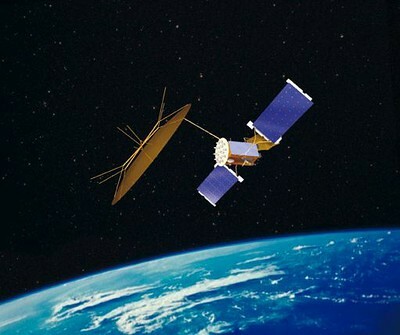 COMS continues a collaboration that started with Arianespace’s launch of the Kitsat A and Kitsat B scientific microsats in 1992 and 1993 for Korea’s Satellite Technology Research Center (SaTReC), and was followed by the 1999 launch of the KOREASAT 3 communications satellite for Korea Telecom. Arianespace postpones launch of ArabSat-5A and the follow-on Coms satellite as an anomaly occurs in the Ariane 5’s launcher subsystem during final countdown. U.S. Air Force announces that U.S. Strategic Command has operationally accepted command and control of its third Wideband Global SATCOM satellite, WGS-3. Satellite firm Intellectual Ventures, having bought many patents of satellite technology from Motorola and Teledesic, sells some to Thales Alenia Space on the heels of the Thales deal with Iridium to build the next generation of its satellites. Harris wins five year $140m contract to redesign satellite ground system for NASA. Thales Alenia wins contract to build W6A satellite for Eutelsat. NASA has selected Orbital Sciences to launch the Orbiting Carbon Observatory-2 (OCO-2) mission in February 2013 aboard a Taurus XL 3110 rocket from Vandenberg’s U.S. Air Force Base, California. 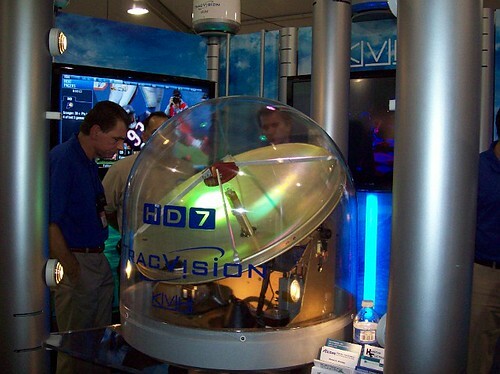 Boaters can now watch the the 2010 FIFA World Cup soccer games in 3D while on the water, thanks to the TracVision(r) HD7 from KVH. Anticipation of the peak of the solar 11 year cycle coming in 2013 sparks predictions of serious consequences to electronics and communications systems, including satellite communications. 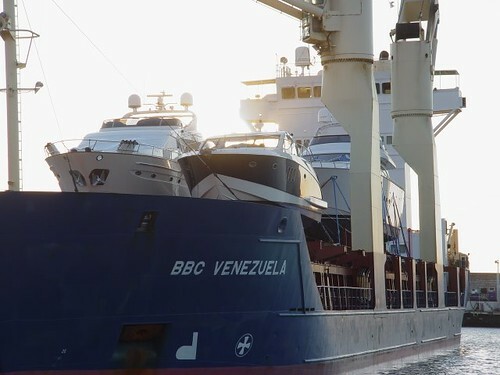 CapRock Communications signs three-year contract with BW to deploy its SeaAccess service onboard its fleet of approximately 100 vessels that include Very Large Crude Carriers (VLCCs) and Liquefied Petroleum Gas Carriers (LPGCs). Astrium is awarded a contract by the European Space Agency (ESA) to develop key technologies for new re-ignitable upper stages for new launchers. FCC takes steps to free spectrum from within S band currently available only for mobile satellite companies to build mobile applications to complement their satellite services, so it can be used by mobile broadband companies. Vietnam Telecom International picks Gilat’s Skyedge II for broadband satellite network. CASBAA concludes 10th annual forum in Singapore, as attendees attest to a vibrant Asian satellite industry. First attempt to launch South Korea’s first weather satellite is delayed as pressure problems develop in the launch vehicle. June 19, During the International Economical Forum in St. Petersburg, Roscosmos and Arianespace signed a contract which cover 10 additional missions of Russian Soyuz-ST rocket from Guiana Space Center (CSG). Spacenet introduces new emergency communications service by satellite with pay as you use service options. OmniAccess S.L., a leading communications provider to super- and mega-yacht owners, has completed the launch of its Balearic Teleport and successfully upgraded its maritime broadband satellite network to iDirect’s Evolution platform. Israel launches spy satellite Ofek 9. CapRock Government Solutions announces the award of four multimillion dollar contracts to provide managed network services and more than 400MHz of commercial satellite capacity to four separate U.S. Government agencies. Annual Ham Field Day on weekend of June 26-27 gives public chance to meet and talk with ham radio enthusiasts showing off the newest digital and satellite capabilities and voice communications, as well as historic Morse code. GlobeCast Australia has announces that GlobeCam — a specialist provider of live, miniature camera technology in the world today — has conducted successful trials of 3D coverage for V8 Supercars Television. 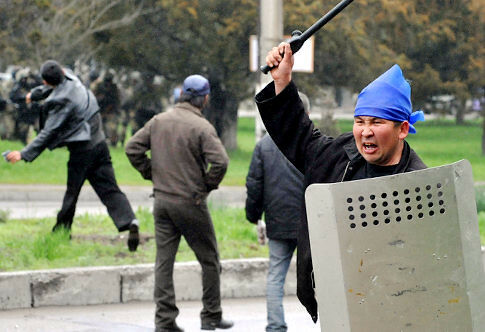 Telecommunications experts from the UN World Food Programme (WFP) and Télécoms Sans Frontières (TSF) are establishing emergency communications centers equipped with satellite-based phone, internet and radio lines along borders of Kyrgyzstan. New iPhone application developed by Skobbler, teaming up with Apple and OpenStreetMap, will ensure that satellite navigation will become cost effective and easily used by most iPhone users. Integral Systems Europe (ISE) has been awarded a satellite ground station contract from British Sky Broadcasting (BSkyB) for Harlequin 1, Sky’s state-of-the-art broadcast facility. 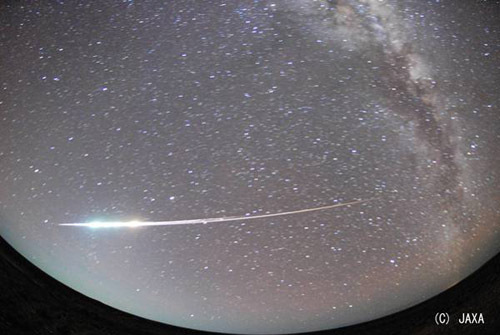 Iridium expands reach with South African license. EchoStar launches DishHD, a premier satellite pay-TV service, in Taiwan. Polaris Wireless and Globecomm Systems partnership will allow U.S. wireless operators to quickly, easily and cost-effectively meet Federal Communications Commission E911 Phase II requirements. SES WORLD SKIES announces its SES-1 satellite has entered commercial service at the orbital location of 101 degrees West. Holding the new iPhone 4 can cause interference between the GSM and WiFi antennae, so naturally the Net is abuzz with this "problem." Hey, it doesn’t take a rocket scientist to figure this one out. Get about an inch of scotch tape off the reel (that’s Sellotape if you’re in the U.K.). Cut it carefully so that you make a rectangle something over a half-inch long and just tall enough to exceed the iPhone 4’s height (about 0.4 inches should do it). Align the piece of tape so that it’s covering a section of the lower left metal side of the iPhone 4, some below the thin black plastic line and some above. Stick it around the phone’s metal edge, making sure that all of the back of the edge’s metal strip is covered–you may even be able to leave the front uncovered, as it’s the back where your hand will rest. The main thing is to ensure that it’s unlikely that your palm will touch the metal on both sides of the black plastic line. Result: Your iPhone 4’s twin antennas are now insulated against skin short-circuiting in the "problem corner". 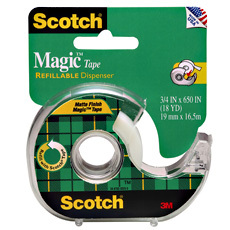 You don’t even have to use scotch tape–make a statement and do it in bright red electrician’s tape, if you feel better for it. It’s about time the geniuses at 3M got some attention. 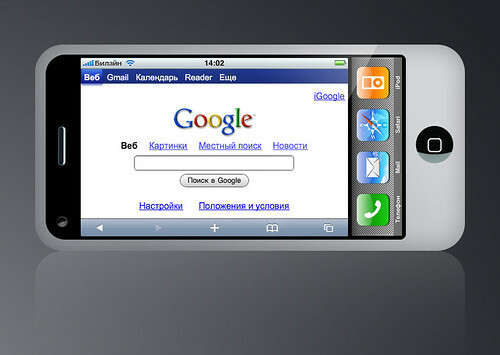 Oh, and the new iPhone? It’s lovely; held one yesterday. TSF deploys emergency telecoms team to Kyrgyzstan to provide emergency communications services to humanitarian community in support of relief operations. FCC announces it will focus on using satellite services to spread mobile wireless access to more Americans. BSkyB announces that Sky Sports News will be removed from free to view service FreeView to become a pay TV only channel. SatCom Global launches Horizon, incorporating state of the are compression technology and designed to optimize voice and data management, dramatically cutting cost of satellite communications for users in maritime, oil and gas, construction, government, emergency, and first responder markets. BT and RRsat enter 5 year strategic network alliance to combine RRsat’s content management and global distribution services over satellite, fiber, and IP with BT’s global media network. Wavestream introduces rugged, outdoor 600W C-band solid state amplifier 757C-o for broadcast satellite communications systems. Following successful debut flight of Falcon 9 launcher, SpaceX wins hotly contested contract to put next-generation Iridium communications satellites into orbit. Sky Sports gets rights for Euro 2010. SES ASTRA satellite Astra B, launched May 21, is now operational. Satworx, a provider of satellite phone communications, offers a new lightweight IsatPhone Pro at a reduced price. NASA chooses General Dynamics C4 Systems to upgrade TDRSS satellite communications ground system and network. introduces jamming detection and other new security features including detection of antenna cut. New KVH TracVision HD7 employed by boaters to receive DirecTV HD signals for 2010 boating season. Arabsat announces that launch of 5A by Arianespace will take place on June 23, Arabsat’s second launch this month. Integral Systems subsidiary SAT Corporation receives contract to upgrade CHINA SATCOM’s satellite signal monitoring and interference detection system. Murdoch’s News Corp makes move on UK satellite broadcaster BSkyB. BBC World signs deal with intelsat renewing satellite and teleport services throughout Asia and the Americas. iDirect launches ReadyCONNECT, a portable emergency response satellite communications system developed by global satellite equipment leader Cobham Satcom and partner Australian Satellite Communications. Space Data’s test of high altitude balloons with radio communications for border patrol, more cost-effective than satellite technology, receives rave reviews but then – no contract to show for it. iDirect Government Technologies releases new line of software packages for its SatManage network management system. Battle lines being drawn between Virgin Media and BSKYB over 3D TV. DirecTV teams with NCC Media, the ad-sales company owned by Comcast, Time Warner Cable, and Cox Communications, to bring the satellite operator to the spot-advertising market and provide ability to expand an ad’s coverage in 25 select markets. Microsoft working on 3D technology using special lens on TV screen that would not require users to wear glasses. Hughes Network Systems receives contract from state of Oregon to provide broadband satellite internet services to state agencies, local governments, and school districts. communications, under the Mobile User Objective System program. Arianespace announces agreement with Lockheed Martin to launch VINASAT-2 satellite for Vietnam Posts and Telecommunications Group in 2012. SpeedCast signs multi-year agreement for capacity on North and Central American beams of Telesat’s Telstar 11N satellite. Swedish Space Corporation indicates that the Swedish Prisma satellites have been successfully launched aboard a Dnepr launcher from Yasny,Russia. Aerojet announces an agreement with NEC corporation to jointly supply HAYABUSA-derived ion propulsion systems for the U.S. and Japanese aerospace markets. SpaceX to launch Taiwanese earth observation satellite in 2013. C-Com Satellite Systems receives $1M worth of new orders for its iNetVu mobile antenna systems from China. Space Systems/Loral contracts to build DirecTV 14. Comtech Telecommunications Corp. announces orders received aggregating $12 million, including Ka-band amplifiers for satellite broadband services, DTH services and strategic airborne communications. Thaicom Pcl shares jump after Thailand’s government announces plans to buy Temasek Holdings Pte’s stake in the satellite monopoly for national security reasons following anti-government protests. Microspace introduces Velocity Microburst, allowing Velocity satellite data users to acquire occasional "bursts" of additional bandwidth for short term needs. ATCi designs and delivers low-cost complete Fly Away Broadcast System designed for broadcasting sporting events to smaller communities in Latin America and Africa. Vizada is selected by ARINC to help fulfill Department of Defense contract for international broadband services. PolarSat completes VSATPlus3 network testing for Chinese gas market. Orbit Technologies receives additional orders from large satellite communications companies in Brazil for its OrSat satellite communications systems to be installed on offshore Oil and Gas platforms. GlobeCast Australia wins major delivery deal with Event Cinemas that offers 3D HD coverage of more than a dozen sporting events over the next month, in a first for Australian cinema audiences. Ottawa may lift telecom restrictions relating to foreign ownership of companies in the Canadian telecom industry, including satellite communications companies. California teenager rescued from crippled sailboat by French fishing vessel describes her three days adrift after the mast was broken during a storm, knocking out her satellite communications. NASA won a Webby Award, which second-man-on-the-moon Buzz Aldrin accepted on their behalf. I love their approach: no more that five words. You’ve got to choose your words carefully, as Buzz did: "Humanity. Colonization. Phobos. Monolith. Mars!" And Jake from CollegeHumor.com’s "Jake and Amir," who changed his speech when he realized who he was standing next to offstage: "Holy f*cking sh*t, Buzz Aldrin!" I think space is cool again, thanks to the general public’s curiosity and fascination with space. Let’s not forget the "we could use the money elsewhere" critics, as they’ve got a valid point. Then there’s the British metal band Iron Maiden, who opened a new tour in Texas. 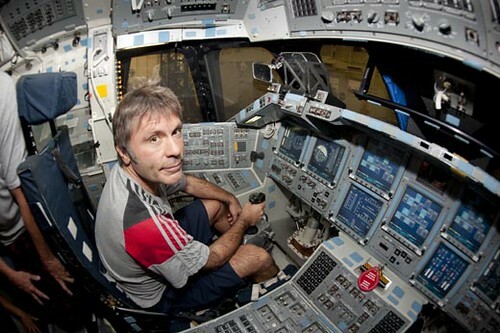 Yeah, they paid a visit to Johnson Space Center and got to play with the Space Shuttle Simulator. Korean navy recovers what is believed to be debris from the Korea Space Launch Vehicle 1 that exploded shortly after liftoff Thursday, the country’s second major space setback in less than a year. Thales Alenia Space gets contract from Eutelsat for satellite with forty Ku-band transponders to be launched during third quarter of 2012. Space Systems/Loral (SS/L) ships Dish Network’s EchoStar 15 communications satellite to the Baikonur Space Center in Kazakhstan where it will be launched by International Launch Services. 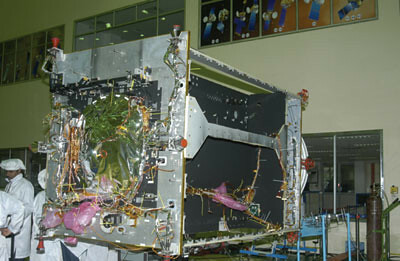 NASA has selected Orbital Sciences to launch the Interface Region Imaging Spectrograph (IRIS) spacecraft in December 2012 aboard a Pegasus XL rocket from Vandenberg U.S. Air Force Base. As sun emerges from one of its quietest periods ever during its 11 year cycle, it may spell trouble for a world increasingly reliant upon communications satellites and power grids. German satellite service provider Atrexx launches trio of C-band services for the Africa and Middle East markets. Two PRISMA satellites to be launched next week feature Thales Alenia Space’s technology that determines the two satellites’ relative positions to within 1 centimeter, and relative attitudes to within 1 degree. Hughes Network Systems unveils broadband Internet satellite services for government and enterprise emergency networking solution. BBC World News signs renewal and expansion contract for satellite and teleport services with Intelsat S.A. to distribute programming to Asia-Pacific and Americas audiences. Azerbaijan government has contracted with Orbital Sciences to build the country’s first satellite, but questions are being asked about the country’s ability to pay, as unnamed source states that the finance ministry is delaying funding of the project. Telespazio’s orders for Orbit Technologies Ltd.’s high performance stabilized marine satellite communications systems to be installed on oil and gas industry platforms worldwide reach $1.1M. ND SatCom receives Global Telecoms Business Innovation Award 2010 in the Business Service Innovation category for its XWARP(r) solution, which provides IP applications / Cloud Computing over satellite. BSkyB gains $460.3M settlement in its lawsuit with system integrator Electronic Data Systems, a subsidiary of Hewlett Packard. Globecast is selected to deliver four major Latin American channels to cable headends throughout the United States via the AMC-1 satellite. Avanti signs long-term Hylas 1 capacity contract with unnamed triple-play consumer telecom service in the U.K. and Ireland. Barrett Xplore Inc. of Canada will lease Loral Space & Communications Inc. owned payload which will be hosted on the Viasat 1 broadband satellite that Loral is building for Viasat. Iridium introduces new features for its Next generation of satellites, making laptop connections easier and providing extended SMS messaging for the Iridium 9555 satellite phones. Orbit Alchut Technologies Ltd. and Telespazio SpA to supply satellite communications systems for marine oil and gas platforms using C-band capacity and 4m antennas to provide high reliability even during stormy weather. Satellite Industry Association (SIA) releases 2010 State of the Satellite Industry Report, showing 11% growth from 2008 to 2009 in overall world satellite industry revenues. Andreas Georghiou, CEO of Spacenet, accepts a Circle of Excellence award from Washington SmartCEO in recognition of the company’s product innovation. Eutelsat makes four satellites available for broadcasts from South Africa of the World Cup football tournament. Integral Systems gets contract from a leading satellite service provider integrating an additional geostationary satellite into their existing Epoch Integrated Product Suite satellite management system. German ship manager Phoenix Reederei reports drop in monthly satellite expenses of more than EURO1,000 since installing Iridium OpenPort satellite terminals on five of its vessels. Inmarsat wins 41st annual royal Academy of Engineering MacRobert Award, Britain’s biggest prize for engineering innovation. European Space Agency reports successful completion of thermal-vacuum checks in India on the HYLAS 1 advanced broadband satellite being constructed for Avanti. Industry experts advise relief agencies and governments to learn from the Haiti experience, where earthquake damage would have made emergency response nearly impossible without satellite communications. Skycasters submits proposal to the USDA RUS Broadband Initiatives Program in Washington, D.C. requesting a $5.1M grant to improve public safety and prompt economic recovery for 37M Americans. NASA Administrator Charles Bolden professes increased confidence that a resupply vehicle will be available after the Space Shuttle fleet is retired, on the heels of the successful launch of SpaceX Falcon 9 on June 4. Satcom Direct adds graphical weather to its existing FlightDeck Freedom satellite service for aircraft. NASA successfully completes comprehensive pre-shipment review of the Fast, Affordable, Science and Technology Satellite, of FASTSAT, a microsatellite class spacecraft that will carry 6 experiment payloads to low-Earth orbit. 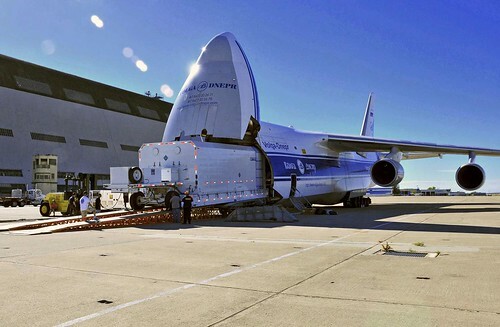 German Earth observation satellite TanDEM-X, part of project to "map the Earth in 3D" is readied for launch at the Baikonur Cosmodrome in Kazakhstan. Australian Satellite Communications (ASC) and Cobham announce launch of ReadyCONNECT, a portable, quick-deploy emergency response satellite communications solution. Arqiva provides Sky with 36MHz of W7 satellite capacity for duratioin of football World Cup in South Africa. NOORSAT selected by Al Jazeera network to provide satellite capacity to backup the FIFA world Cup 2010 coverage, including the use of the NOORSAT Bahrain teleport as an alternative transmission facility. SES ASTRA enters into distribution agreement with Polish data network operator NASK to offer its satellite-based broadband service to business customer in the Polish market. BSkyB pays Virgin Media £160m for its TV channels in deal where Virgin Media gets to offer its subscribers the premium BSkyB HD channels. Beautiful video footage, courtesy of NASA, of Hayabusa’s re-entry after a 7-year mission and 6 billion kilometers. Hayabusa separated the capsule at 7:51 p.m. and reentered the atmosphere at 10:51 p.m. on June 13th, 2010 (JST). Hayabusa was launched on May 9th, 2003 by M-V rocket and operated for approximately seven years. During its operation, JAXA was able to achieve the difficult mission including Hayabusa’s sample capture attempt after its touchdown on the asteroid named Itokawa, and Hayabusa’s return to the earth overcoming many hardships. JAXA would like to appreciate every support to JAXA leading this mission to a great success. The Hayabusa capsule has just returned to Woomera, Australia. As the next step, JAXA will move forward to the capsule recovery. The Korea Space Launch Vehicle 1 is thought to have blown up 137 seconds after take-off, said science minister Ahn Byong-man. The rocket lifted off from Goheung’s Naro Space Centre at 1701 (0801 GMT). But contact was lost as the rocket reached an altitude of 70 kilometres (44 miles). 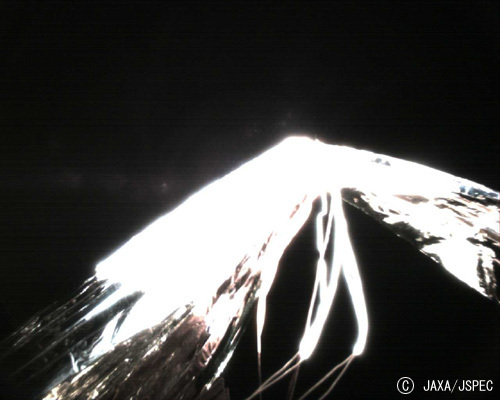 "Looking from the bright flash seen on the camera mounted on the tip of the rocket, it appears [the KSLV-1] exploded in flight during the first-stage ignition," said Mr Ahn. Pictures on South Korean television appear to show the rocket’s final moments, with the cameras following a white speck on its downward trajectory into the sea. Watch the IKAROS solar sail deploy on this JAXA blog. Shaw Direct Satellite TV will be broadcasting the the CBC’s FIFA World Cup in 3D-TV throughout Canada. ESPN will be using an OC-12 fiber connection and use MPEG-4 encoding for their main feed from South Africa. This list goes on and on. HBS crew at the IBC can browse the servers in the OB trucks, while also ingesting up to 18 live video feeds coming from the venues to the IBC. HBS packages the content into a fully formatted programme feed for wholesale delivery to Media Rights Licensees. The EVS equipment tally at the HBS Production facility is 50 HD XT servers, totaling 1900 hours @ 108 Mbps (DVCPro HD), plus another 1100 hours of hi-res media in an XStore storage platform. 140 IPDirectors are for logging, browsing and content management. 6 XF units are for removable storage. 32 Xedio Media Dispatchers are for P2 file selection, clipping and transfer. 3. IBC Johannesburg — MRL Production — this other half of the IBC comprises the studio and production facilities set up individually by each of the visiting broadcasters, as well the home broadcaster, SABC. Deemed “Media Rights Licensees”, the abbreviated form “MRL” is now the common term to describe the visiting broadcasters and those who stayed at home but nonetheless paid for the rights to rebroadcast the FIFA World Cup matches in their geographical zone. Collectively, the MRL’s in the IBC will be making good use of 60 EVS HD XT servers, 30 IPDirectors and 20 XF sets of removable storage. 4. Distribution — now somewhat more complicated than it used to be due to the emergence of web and mobile video distribution pipelines in addition to the traditional terrestrial, satellite and cable outlets. Extremely fast turnaround of packaged clips is part of the system design. The HBS promise is to deliver craft edited clips for mobile devices within three minutes after the live action. Something to think about as you watch.